Millions of people take antidepressants to help ease depression, but new research suggests many others are receiving the medication to treat conditions that are not depression-related. Researchers from McGill University in Montreal had suspected that antidepressants were being used to treat conditions other than depression, but little research existed on the topic. 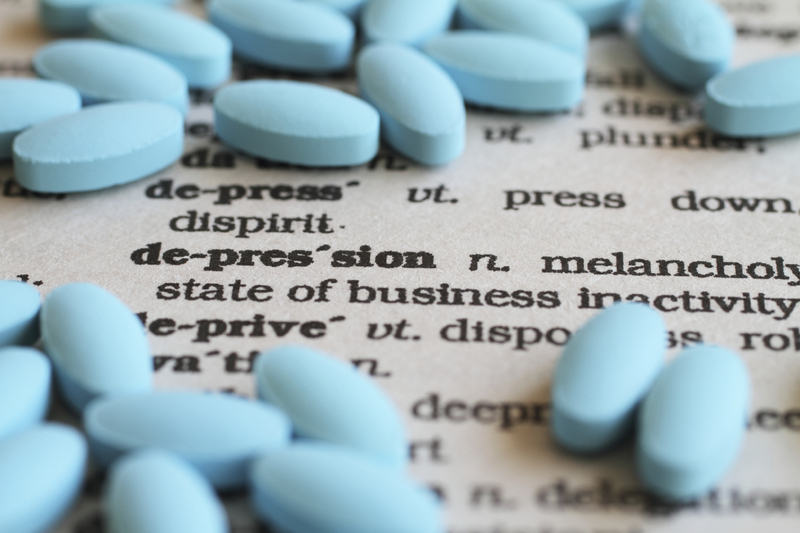 'We wanted to see exactly why antidepressants were being prescribed, how often, and for what indications," study author Jenna Wong, M.Sc., of McGill University, told CBS News. The study, published in JAMA, looks at nearly 10 years of medical records that include more than 100,000 prescriptions written by about 160 primary care physicians for almost 20,000 patients in Quebec, Canada. The doctors participating in the study documented the medications they prescribed, along with at least one indication, or reason, for each. The researchers included all antidepressants in their investigation except monoamine oxidase inhibitors -- an older drug so rarely prescribed it could not be used to analyze trends in the study. The results showed that only 55 percent of all antidepressant prescriptions in the study were given to patients to treat depression. The remaining 45 percent were prescribed to treat other conditions, including anxiety disorders, insomnia, pain, and panic disorders. About two-thirds of the prescriptions for conditions other than depression were given to patients for an off-label indication -- meaning the drugs are not approved by regulatory agencies to treat that condition. What's more, doctors in the study prescribed antidepressants for several indications that were off-label for all antidepressants, including migraine, attention-deficit/hyperactivity disorder (ADHD), and digestive system disorders. The findings are concerning, Wong said, because some of the off-label uses may not be backed by scientific evidence. "I can't make a statement to say that for sure they don't work or that they are exposing patients to health risks but there's the possibility that they could be causing adverse health effects or that they may not be effective for the conditions," she said. "Without any scientific evidence, it's hard to be able to say." But Dr. Norman Sussman, a psychiatrist and Director of the Treatment Resistant Depression Program at NYU Langone Medical Center, points out that antidepressants have a wide range of potential uses. "For insomnia use, most knowledgeable internists prescribe many of these medications because they are more effective and less problematic than drugs indicated for insomnia, such as Lunesta and Sonesta, which can have addiction counter-indications," he told CBS News. "For pain, you can go back to medical textbooks from 50 years ago and see that anti-depressants have always been prescribed for certain cases of pain management, like Cymbalta. The reason these drugs do not have FDA recommendation for non-depressive disorders is because securing such indications is costly." For Sussman, the study findings aren't worrisome. Rather, "they validate the fact that primary care doctors are savvy at utilizing these drugs effectively for management of non-depressive disorders," he said. "It demonstrates a certain sophistication on the part of practitioners to use these drugs off- label." But the study authors hypothesize that some off-label antidepressant use might result from tradition, rather than scientific evidence. "Physicians may be talking to their colleagues and saying, 'Hey, I've used this drug in my patient population and it works,'" Wong said. "So it's more word of mouth." She also noted that marketing and promotions from pharmaceutical companies may play a role. Both Wong and Sussman agree that more research into off-label uses for antidepressants is needed. "Hopefully [the study] will increase interest in trying to more carefully study these off-label uses to find out whether we can get any evidence to see if they're working for these indications," Wong said. Though the research was conducted in Canada, experts say they wouldn't be surprised to see similar results if such a study was done in the U.S.